MOGADISHU, Somalia – Eleven migrants who had been subjected to slavery and auctioned in Libya arrived home on Saturday after being repatriated by the Somali government and the UN refugee agency. 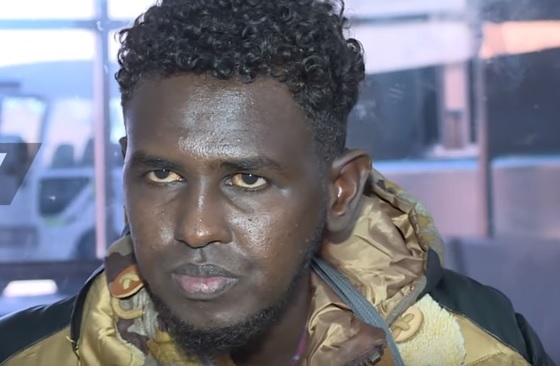 Somali citizen Liban Ali was studying in Sudan in 2015 when he decided to illegally migrate to Europe passing through Libya. Once there, he was kidnapped by smugglers. “Like an animal, I have been sold four times in a Libyan market, with the last one buying me for $10,000. There was a daily torture. I was two years in a Libyan prison and I spent $15,000 and did not reach the place I was dreaming [Europe],” he explained. “Now I am happy to come back to my country and to a reunion with my family,” he continued. Meanwhile, a Somali official explained the actions the Somalian government is taking. “The government of Somalia is committed to repatriating its people who are in prisons around the globe. Today, we have been able to repatriate some Somali youth who were in a Libyan prison. A month ago, we released prisoners from Indian and Ethiopia prisons and brought them back to the country and we will continue doing so,” said Somali deputy Prime Minister Mahdi Guled Mohamed. In recent months, a CNN report revealed that African migrants and refugees were sold in open markets as slaves in Libya, and are held against their will in brutal conditions in exchange for money. Since then, European Union, African Union, United Nations have tried to intervene the situation freeing Somali prisoners who have been detained in other countries. The information sparked protests outside Libyan embassies across Africa and Europe. Slavery did not exist in Libya before Colonel Muammar Gaddafi was overthrown and murdered by US-backed jihadists. With Bana being exploited by her mother to push for World War Three, is a new child exploitation in the lurk in Syria?